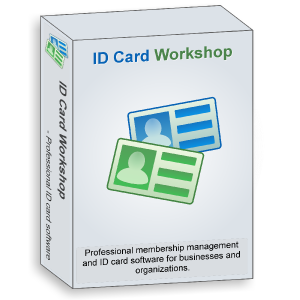 ID Card Workshop Team has released ID Card Workshop 3.5, an professional and affordable membership management and ID card making software for Microsoft Windows. ID Card Workshop is a professional and easy-to-use membership management and ID card software for businesses and organizations. With its built-in powerful multi-layer ID card designer, various templates and samples, ID Card Workshop enables you to create ID cards, employee badges, membership cards, loyalty cards, VIP cards or any other types of ID cards never been easy! And with the inbuilt membership management feature, which enables you to manage records, issue cards with just few clicks! Also, with the webcam capturing feature, 1D barcode (code 39) and 2D barcode(QR code) support, which enables you to build a complete member enrollment and card verification(with barcode scanner) system at low costs! 1. Added supports for digital cameras(Canon EOS series) and scanners as image source to import/capture images while issuing photo id cards. 3. Added Teslin 1-up paper support, which enable users to print id cards one by one with laser and inkjet printers. 4. Added offset setting for layout printing mode. Beside for the digital cameras, you may also use webcams, scanners and image files as image source.